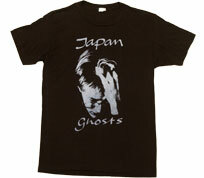 The same image as on the "Ghosts" single. No © markings in the print, so I'm not sure if it's official. 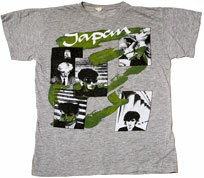 Based on the age of the fabric, wear on the ink, and print quality, it is possibly a pro job from the time period. 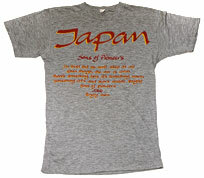 The thin brushstroke Japan logo accompanied by lyrics to "Sons of Pioneers" in the same typeface. 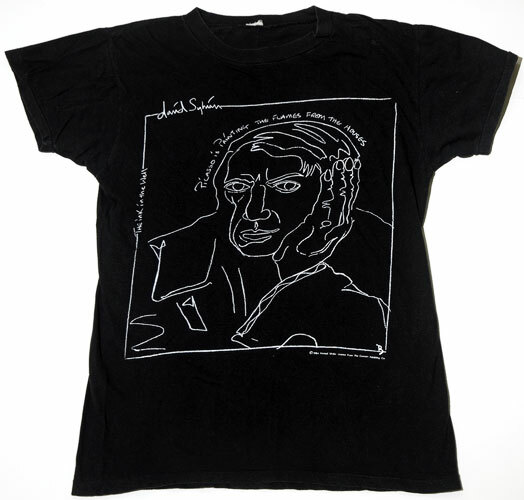 There aren't any © markings in the print, so I'm not sure if it's official merchandise. 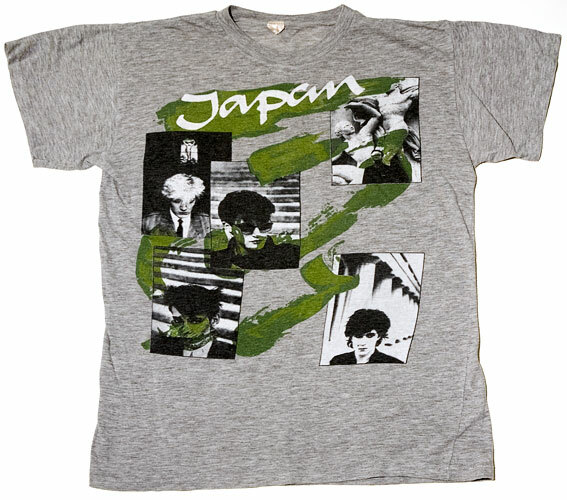 Possibly the best looking Japan t-shirt design. 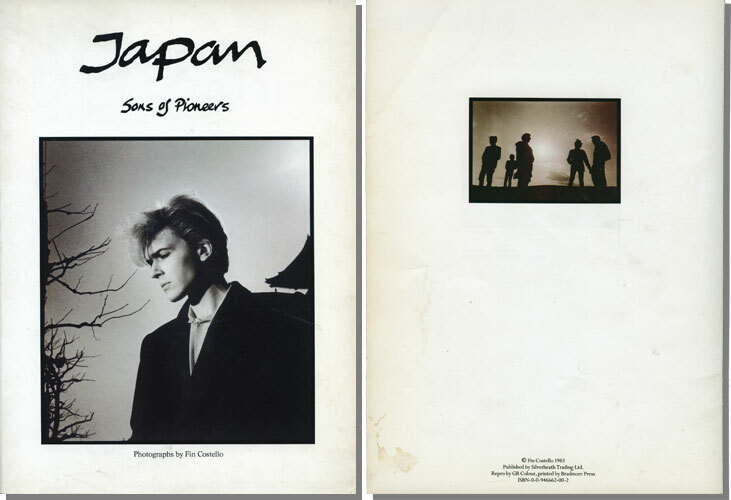 Photographs by Anton Corbijn taken from the "Oil on Canvas" gatefold sleeve. 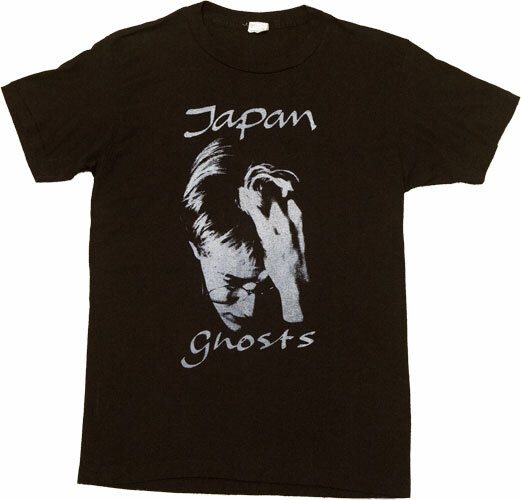 No © markings in the print, so I'm not sure if it's official merchandise. 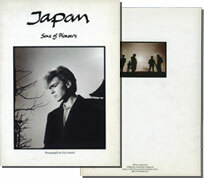 Same photograph as used on the "Red Guitar" single. 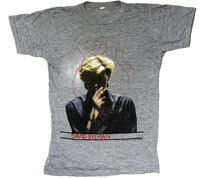 Most people think it's David Bowie when I wear it. 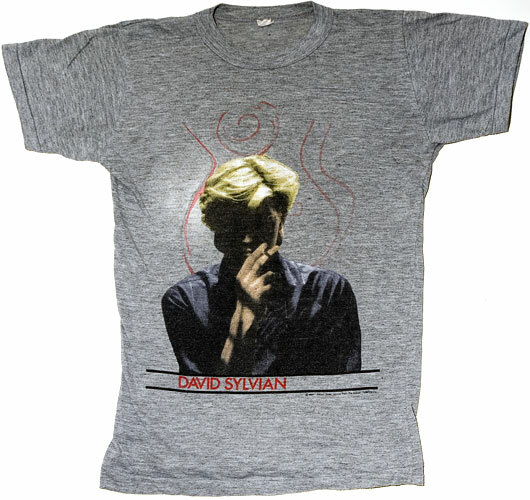 Bottom of print reads, "© 1984 Printed Under Licence From The Concert Publishing Co."
Promo for the other single off of Sylvian's "Brilliant Trees." A neat line drawing with some handwritten lyrics. 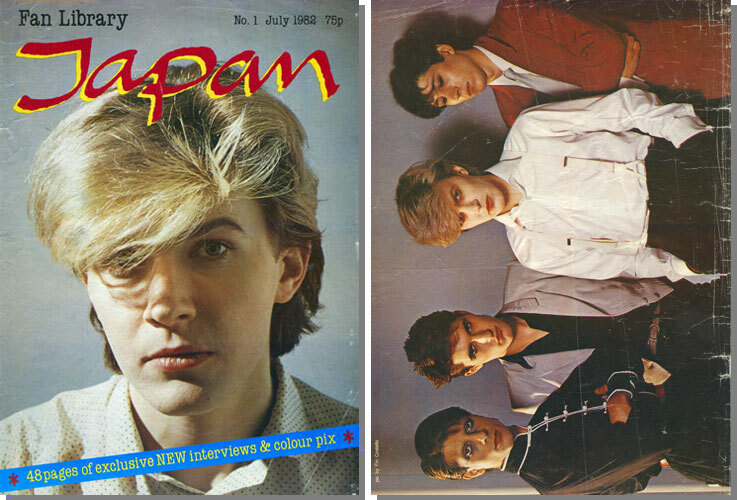 Bottom of print reads, "© 1984 Printed Under Licence From The Concert Publishing Co."
A great resource for articles and images. 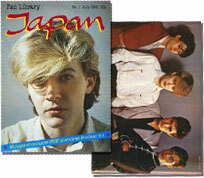 Some content was compiled from articles published in Sounds magazine between '78 and '82. Published by Spotlight Publications, London. 48 pages. 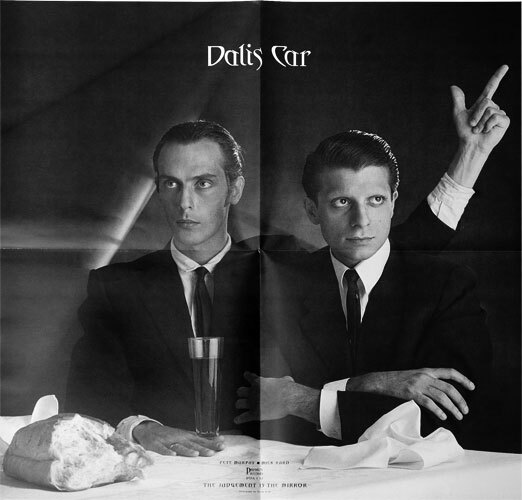 A fairly intensive, and reasonably objective, look at the band crammed into 32 pages. 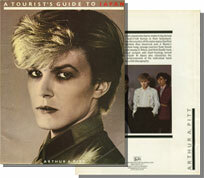 Published in 1982 by Proteus Publishing, Ltd., London. 42 B&W and color plates. 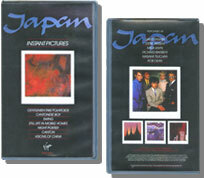 ISBN: 0862761727. 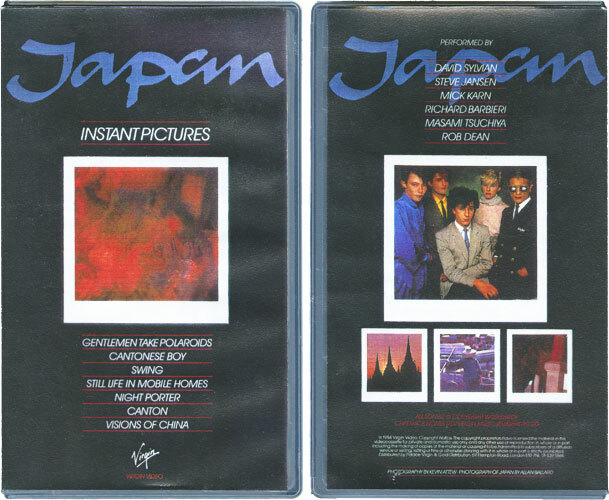 Images taken during Japan's final tour. Includes a short introduction by Costello, but very little other text. 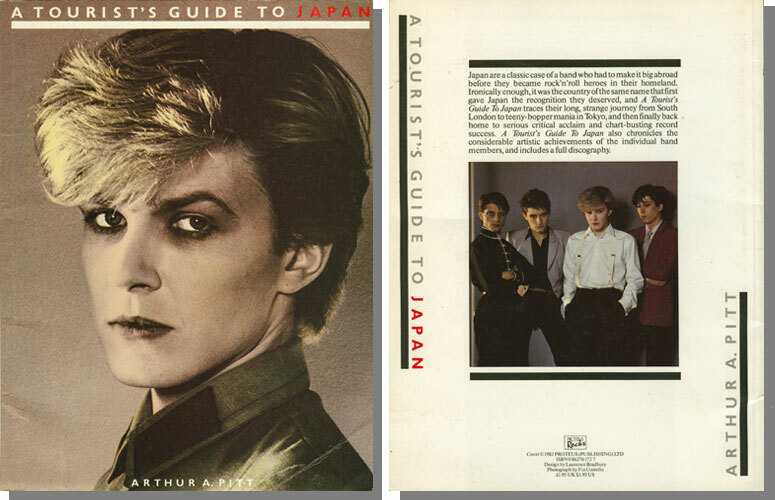 Published in 1983 by Silverheath Trading, Ltd., London. 125 B&W plates. 96 pages. ISBN: 00946662002. 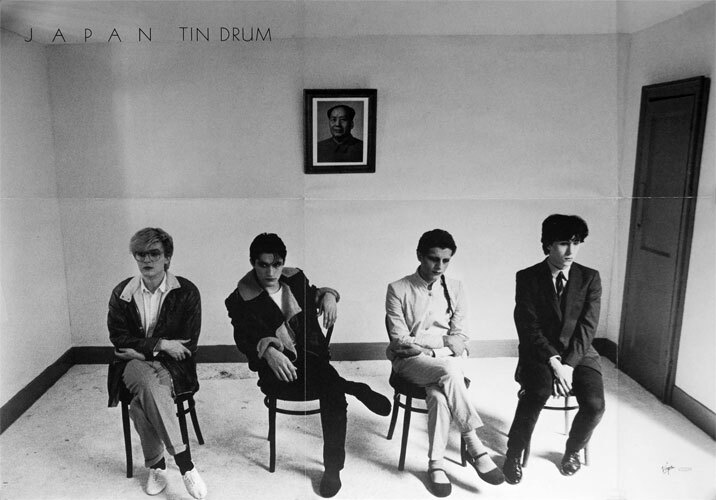 26" x 19" poster included with early UK pressings of "Tin Drum" (Virgin V2209). 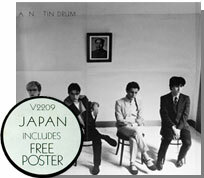 Same image as on the back of the album, except with some text and the Virgin logo in the corner. Photo by Fin Costello. 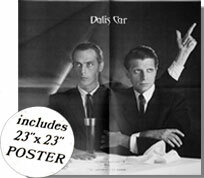 23" x 23" poster included with some 12" pressings of "The Judgement is the Mirror" (Paradox Records DOX 1 12). Not quite sure what Murphy is doing...but does that really matter? Photograph by Sheila Rock. 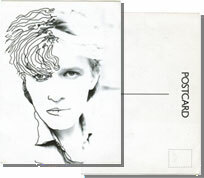 Promo postcard included with pressings of the "Pulling Punches" 12" single (I think). 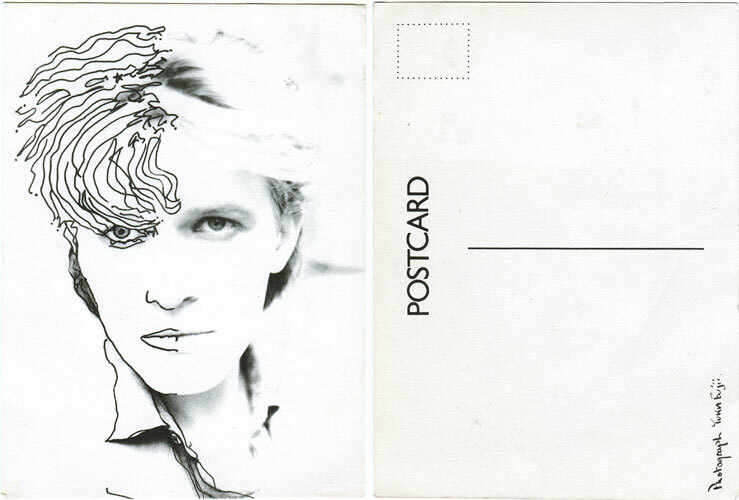 Another postcard exists with an image of Sylvian holding a Jean Cocteau ceramic in front of his face. Photo by Yuka Fujii. Promo videos and cuts from the "Oil on Canvas" tape. Worth tracking down for completists (over the 2006 DVD) as there is a unique, and very short, Karn bass lick that plays at the beginning of the video. 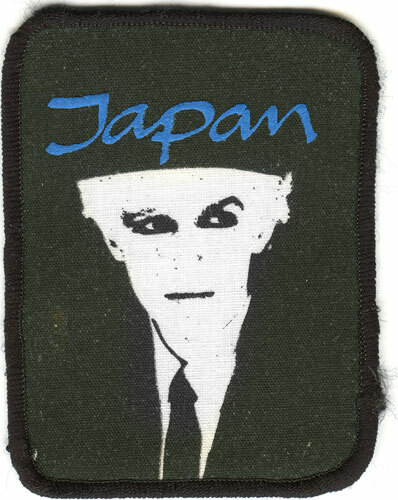 A high contrast version of the "Gentlemen Take Polaroids" cover image along with the later, thin stroke logo. 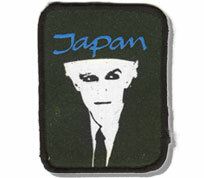 The patch is printed, not embroidered, and the type is screened on in a puffy-type ink. 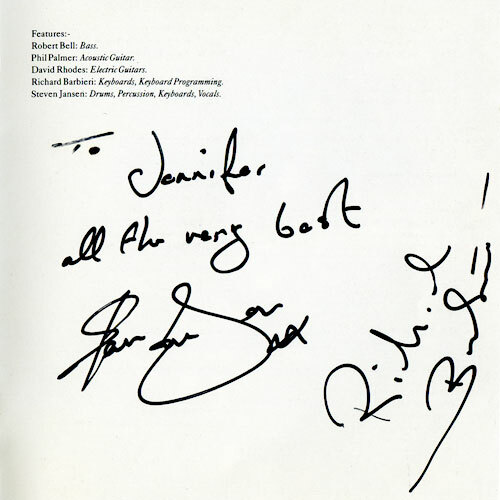 I bought a used copy of "Catch the Fall" online and came across the signatures while reading the liner notes! 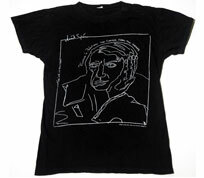 No way to know the authenticity, though who would forge these guy's signatures? 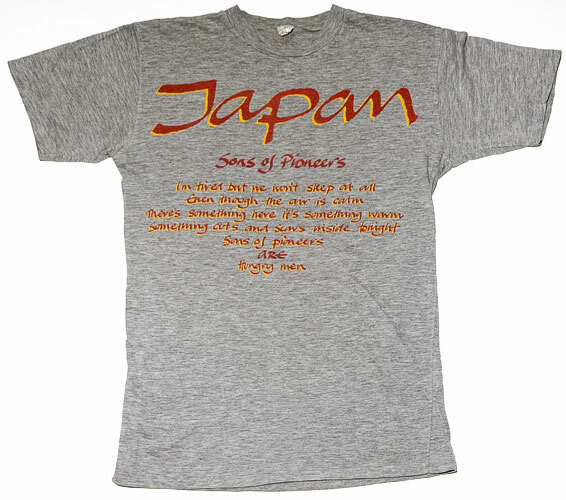 This page is a listing of a few of the Japan, and Japan related, items I have picked up over time. Items are not for sale.